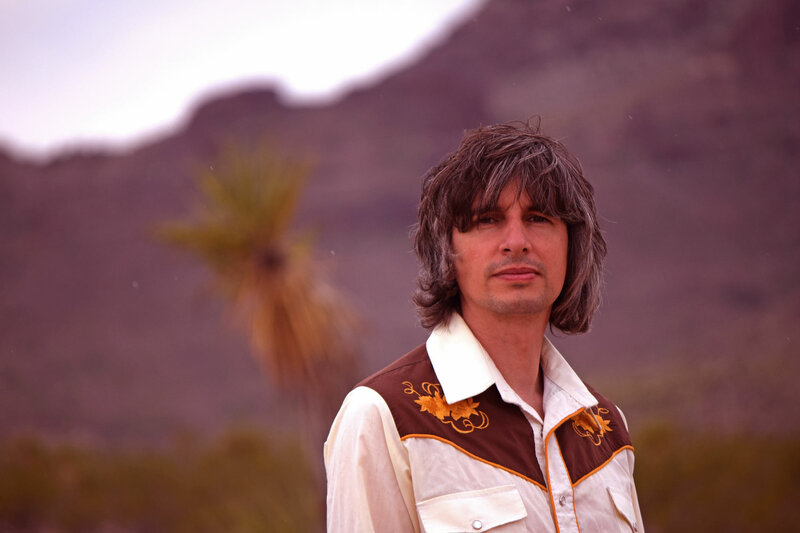 Here’s a new video for a track from my third solo album, Teardrop trail. The video was filmed during a road-trip through the West Coast in 2016..somewhere in the Mojave National Preserve. The guitar I used in this clip was purchased from Guitar Centre on Sunset Boulevard, Hollywood. It was a Rogue Rogue RA-090 Dreadnought, a great guitar for under $60. Incidentally, I left this guitar in Joshua Tree, Cap Rock, where Gram Parsons was cremated by his road manager Phil Kaufman. This song was written at a time when there was some discussions among family and friends about teardrop trailers, and how cool it would be to own one. The words teardrop trail found it’s was into a melody I was playing one day and eventually became this song. It was influenced, no doubt, by the sentiment of Leon Payne‘s Lost Highway, which was made famous by Hank Williams Sr. in the late 1940s. I played the drums, bass and guitar over the track. The lead was played on an Eko Ranger. Ali Roberts sings from the final verse. The last thing I added to the track was some piano. I was going for a kind of Floyde Cramer thing, playing by ear. I’ve never had any formal music lessons and so the piano remains a fascinating mystery to me. I was interested to learn that there is a real Teardrop trail; a hiking route in Vermont. The song is available to stream on Spotify and download in iTunes, Amazon and other digital music distribution services. For old school people (like me), who still enjoys buying CDs, they are available from this website also. Happy new year! If you enjoy this music please follow me on Youtube, Facebook and Twitter. Alan Price has steadily become one of my favourite song writers. For too long I was only aware of his arranging skills on the classic Animals recordings, such as, House of the Rising Sun. 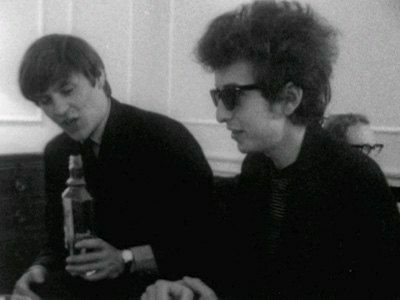 His natural charisma and sense of humour are apparent in the short screen time he got in the Bob Dylan documentary, Don’t Look Back. As far as songwriting goes, I’m ashamed to admit, I had him written off as a kind of, Randy Newman, cabaret, cover artist. Sometimes it’s great to be wrong! My curiosity was raised when I caught a clip from O Lucky Man! on YouTube. The song was Sell Sell Sell. From there I picked up hi 1974 LP Between Today and Yesterday, which I personally think is a masterpiece. Savaloy Dip, which was due for release in 1974, got pulled and was finally released in 2016. Had this been released fully at the time, I think Alan’s career would have received a welcome, and not insignificant, lift. So, while still enthused by the release of Savaloy Dip, I decided I wanted to see Alan perform live. A quick internet search revealed that he plays a regular spot, once a month, at the Bulls Head. The Bulls Head is a riverside pub, built in 1684; it is one of the oldest pubs in the area. It has a rich history as a Jazz and Swing venue. The bar itself had a traditional, yet modern feel and served real ales and food. Although the food looked great, it was pricey (probably cheap for the Richmond area) and we were there to see music, not eat. Fortunately, right next door, was a little chippy which did a great curry and chips for just over a fiver. While we ate, we could see the band loading in. We noticed that they were loading in to the building behind the pub. Apparently, that used to be stables and got converted into a venue. We began to queue and as we did you could hear the band sound checking. The night was a sell-out, as it is every month. For this event, a sell-out equated to about 100 people. We got a seat on the second row just to the side of Alan’s keyboard. The average age of the folks in the audience was about 65, which is great, because that meant I could still feel like a kid. After not too much time, Alan took to the stage on his own and began playing. It was at this point I wish I’d brought some pen and paper, because I’m not entirely sure about the set list which followed. I thought he’d be using a Fender Rhodes sound, but instead, he had the most cheesy of all sounds; electric piano with string pads, combined. Nevertheless, it really works for him. His voice was powerful and bang in tune. After the first song he challenged an member of the audience who was standing up, filming, with his mobile phone. Alan said, “Right and you’re going to stop now aren’t you? Because it’s really bad manners.” With that business taken care of the rest of the band made their way on to the stage. The band consisted of Zoot Money on keys and vocals, Bobby Trench on Guitar and vocal, Peter Grant on Bass and Darby Todd on Drums. Despite appearing to be rather grumpy, Alan does enjoy a natter on stage. Before he began he said that there is a point in most sets where the women will want to go to the bathroom. He continued, that he’d only won a BAFTA for this next section and they might get bored, so now was the time to go. “There’s no accounting for public taste is there?” he concluded. Fortunately no one moved; everyone was riveted. I didn’t expect to hear anything off that album, let alone a a handful. Alan lead the band the whole way with actions to control the tempo and volume. The sound was tight and funky where it needed to be and the musicians blended seamlessly. Sometime Alan’s his dialogue was longer than some of the songs, which isn’t a bad thing since he has a strong stage presence and a good sense of humour. He made up a story about Zoot Money‘s childhood and there was plenty of banter relating to Zoot being well-off and spending his days at leisure and Alan being skint, and really having to work for a living. They did a jam of Nothin’ Shakin’ But The Bacon. 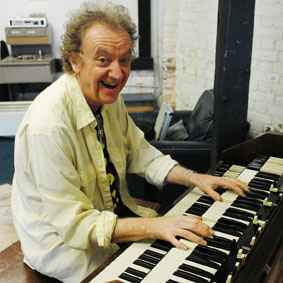 Alan would grimace every time Zoot played a solo. He later moaned that everyone was was too loud (in good humour) and said now he wears ear plugs. In another money themed anecdote, he talked about what it was like when his contract suddenly ended with the Animals and he had to return home, with no future plans and very little money. He couldn’t get the best seat in the restaurant, prestige cars and women. His career wasn’t down for long as he had a hit with his version of, I put a spell on you. He did a solo version of Who’s gonna drive you home, which was interesting. He followed it up with The Letter and Jarrow Song. Jackson Browne got a mention as the unhappiest man in the business. Alan told a tale (fictional I think) about how his lawyers told him to get married because he had too much money and so set up a series of interviews to help him select a wife. Then the layers told him to get a divorce and that was the inspiration for Say it isn’t so. Alan followed it up by doing a version of the song. Bobby Trench did a great solo on it too. Alan joked that no one gives him credit for performing that track, instead people praise Bobby for his guitar work. Other songs in the set included Dole song and Savaloy Dip. Towards the end of the set Alan played a few Animals hits; We gotta get out of this place, Please don’t let me be misunderstood and House of the rising sun. Towards the end of the night Peter Grant on Bass and Darby Todd on Drums got to do solo spots. I was really impressed by the performance. Considering Alan is 75 (at the time of writing) he’s incredibly mobile and his voice is untarnished; strong and operatic at times. He admitted, that because he can only play in the key of G, F and C he’s had to keep the songs in the same keys as he played them in the early days. I was hoping to have a chat with him on the night. I offered to buy him a drink during the break, but he was getting a drink for someone else. He didn’t seem much in the mood to stand around and chat after the show so I didn’t get any photos or get him to sign my LP sleeve of Between Today and Yesterday. He didn’t play Simon Smith and his amazing dancing bear, House that Jack built or Between Today and Yesterday. Nevermind, it was a great show and I was completely blow away at times, one of the best gigs I’ve been to in a long time. I would highly recommend you to go and see him. He plays the Bulls Head every month check the website for details. We Know Her Well by the Mojave Collective. This is a live recording, with three members of the Mojave Collective, from July 2009. Here, myself, James Barton (drums and backing vocals) and Pete Johnson (pedal-steel) were working out some parts for We Know Her Well. I decided to record and film the jam. The Mojave Collective split in 2011, but we did record one album, Rust & Dust, released in 2008. If you enjoy the clip please like and share it with your buddies! We Know Her Well Lyrics. to read between the lines of every fable she lays down. He fills you in with stories of the things that she and he often do. Nothing for a man to do but despair…if it were. Copyright January 2006 words written by Mark Pountney. We just set up in my parent’s front room and played. The setup worked quite well. Jay used brushes on the drum kit. To mic it, we used a cheap, Samson drum microphone set for the kick, snare and tom. For an overhead, I used a stereo ribbon microphone, made by HDW Audio, which I imported from USA. Pete played a twin-neck MSA through a Fender Champion (solid state). I used a Sennheiser 609e on that. I played a Guild GAD JF48, miked with a vintage Electrovoice PL10, and I sang through a vintage Sennheiser MD421. The ribbon microphone does a great job of picking up Jay’s backing vocals… it also picked up when he caught the hi-hat by mistake at 2:38. You can see him laugh about it in the clip. All the microphones went in to a Mackie Onyx 1200F and on to a really old Acer laptop. I think it was mixed using Mackie Tracktion and mastered using TRacks. The video was shot on one of those old DV camcorders. Somehow, it didn’t seem so arcaic at the time. We Know Her Well does not currently appear on any albums. Hello, thanks for stopping by. I thought I would share, with you, some of the songwriting processes and studio recording equipment I used in the creation of Mark One. 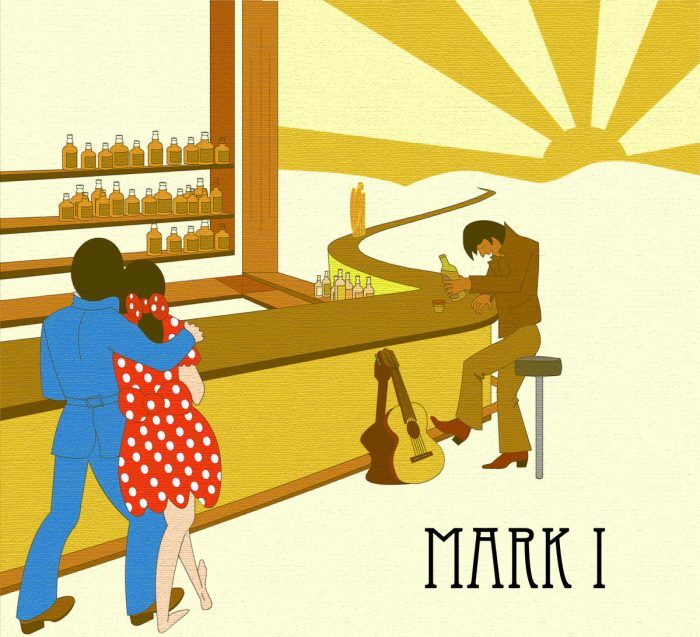 Mark One was my first solo album, and this truly was a solo album. I didn’t have a band of musicians to support me at that time. In the past I had been lucky to work with so many great musicians in previous bands, The Mojave Collective, Supergiant and the Marbles. I also decided to handle the recording side of things too. Prior to starting the recording, I worked with an engineer in a local studio to see how things might sound solo – just me and the guitar. The recordings were good, but I felt that I couldn’t capture the best performance while keeping an eye on the clock. I decided to record myself. I thought, what I would lose on professional equipment and know-how, I could, perhaps, make up for having unlimited time. Although, I understand that this can also lead to loss of focus. I had been recording demos on a PC since 1998 and this seemed like a good opportunity to learn, hands-on, about sound recording and production. The idea was very simple, set up a couple of mics on the guitar, another on the voice, and go for live takes. The album was going to be an honest representation of what I was doing live at the time. Numourous people had been asking me for a CD when I performed, and I never had one. I was hoping to satisfy this demand with a short run of discs. 1. Chasing Highways. This track fades in and begins the album. This song was originally written in May 2001. I was trying to learn Gram Parson’s $1000 Dollar Wedding from memory. I started in the the key of D. I didn’t work it out at the time but wrote this song instead. Production: I used a Rode NT1 on the guitar body, a Rode NT3 on the neck and I sang into an Audiotechnica AT4033. Preamp-wise, I was using the, now obsolete, Mackie Onyx 1200F and a Tube Tech MMC1A on the vocals. I used a Guild GAD JF48 (also discontinued) jumbo guitar. 2. Treat me baby like you should. This was influenced by Jackson Browne, although, it doesn’t particularly come out like that. The line in the chorus originally said “…write you love letters on a tenner.” meaning, £10, but I thought that would get confused with the bladder weakness product; so I changed it to dollar. Production: This had the same set up as Chasing Highways, but on a different day. It sounds “boxier” and I was really frustrated with that at the time…I still am. I overdubbed the harmony vocal. 3. Angels Travel on Lonely Roads. This was one of those songs that was written in a couple of hours, more or less. I had a verse and needed a chorus. I was watching an old episode of the Fugitive with the same title. It fitted right in to the changes I had. I love it when that happens, because it is so rare. It takes me months, even years to finish songs nowadays. Production: This was recorded in three parts. First guitar (Guild GAD JF48) then a short scale, Nylon string (A BM Espana, this is my equivalent to Willie Nelson‘s Trigger; mine’s called Tregga. It is probably worth about a ten quid, still, I love this guitar). Lastly, I sang lead and backing. Some people thought it was my girlfriend singing the harmonies…but that came later. 4. The Last Chance Saloon. This song was written in July 2009. As I’ve said, these days, it can take me months, even years to finish a song. Occasionally, you’ll get something out in a single sitting. This was another one of those. This was the first talking song I’d ever written (and the last) and was influenced by the likes of Golden Guitar by Bill Anderson (which my dad used to sing to me at bedtime when I was an infant) and To Beat the Devil by Kris Kristofferson. It’s a tale of a woman who tries to tempt her lover into settling down and giving up perusing music as a way of life. I had a dilemma when deciding how to sing this accent-wise. Too scouse and it would grate, too American and it would also grate, so, I sort of blended the two…perhaps it still grates ;D.
I had originally envisioned having to sing both parts myself and doing the woman’s part too. I thought Mick Jagger‘s tongue in cheek vocal on Dear Doctor by the Rolling Stones, would be the only feasible way to approach it. Fortunately, I didn’t have to do this because Ali Roberts stepped in for this part. She did a great job, considering she is more accustomed to singing à la Amy Winehouse. Production: This is the first of the two “full arrangement” songs on the album. I used a Guild GAD JF48 miked with a Rode NT1. I direct injected (DIed) the bass, an Aria DMB-380 (discontinued), through the Mackie Onyx 1200f. I played the drums in a rehearsal space, and used only the room mics built into a Zoom R16, which was placed on a music stand behind the drums. We used Rode NT1s to sing into, passing through an ART Pro MPA II tube compressor. 5. Minnie the Mouse. I wrote this song for my girlfriend, as she was always singing in the kitchen. This was mainly because we had no wallpaper up at the time, and the sound would reverberate like an echo chamber. The sentiment of the song needs little explanation :). Production: Again, I used the Guild for this and Rode NT1s all round. I think I used the Tube Tech MCC1A through the Mackie Onyx 1200f for the vocal. The guitar ran through the ART Pro MPA II with a Rode NT3 on the neck and NT1 on the box. I harmonised over the lead vocal. 6. Sweet Love. This is one of my early compositions; written in April 1998. This rarely gets played live but I thought it would fit in with the other material here. A bit of a McCartney influence here. I resisted the temptation to put harmonies on this. Since the song was simple, I thought the production could be as well. Production: This was recorded live with Tregga (nylon string acoustic) and vocal happening at the same time. Three mics; 2 x Rode NT1s on the guitar and an Audiotechnica AT4033 for the voice. 7. Ton of Majic. This song was written in January 2003. I was listening to a lot of Neil Young at the time, as well as the Flaming Lips. I have demoed this a couple of times with full arrangement, but, for this album I just needed something simple. Production: Same set up as Minnie the Mouse. 8. In Good Hands. This song was written quickly around the same time as Angels Travel on Lonely Roads. An inspired spiritual love song. Production: For this, I used and old acoustic by made by a company called Woods. It’s a cheap guitar but has that full bodied sound. I’ve learned that sometimes you just have to use your ears and not worry about the make/model/price of a guitar. If it sounds the way you want it, that’s what you should record with. I used the body of the guitar as overdubbed percussion. ART Pro MPA II with a Rode NT3 on the neck and NT1 on the box. I used an NT1 for the vocal through the tube pre. You can hear some distortion from the tube in the first verse, but I decided to leave it in. 9. Sorrow Killers. This song was inspired by whisky and wanted to include loads of whisky brands in the song. In the end I managed four. Do you know which ones? Production: Production-wise and in terms of performance, this is the odd one out. The beginnings of this recording began before I considered even doing an album. It was recorded with live acoustic guitar (Guild), stand up bass (played by Chris Simpson) and vocal. I later added drums, again, recorded in a rehearsal room using the built-in mics in the Zoom R16. Some very classy piano was added a few weeks later by Mary Beth Bowman. The R16 mics were used again. The whole mix and mastering was done on the R16. It does have a “sheen” that I didn’t catch on the other tracks. 10. Feels Like I’ve Come Home. This was another of those songs that are written in one sitting. I hoped for something uplifting to finish the album and to sonically hint at some production possibilities for future recordings. This fitted the bill. Production: The guitars where miked in mono using an old Electrovoice PL10. I used the Woods, Guild and 12 String Washburn and just stacked them. I introduced some string and brass samples to give it a slight cinematic feel. The album was mixed using Logic Pro X and Mastered in T-Racks.